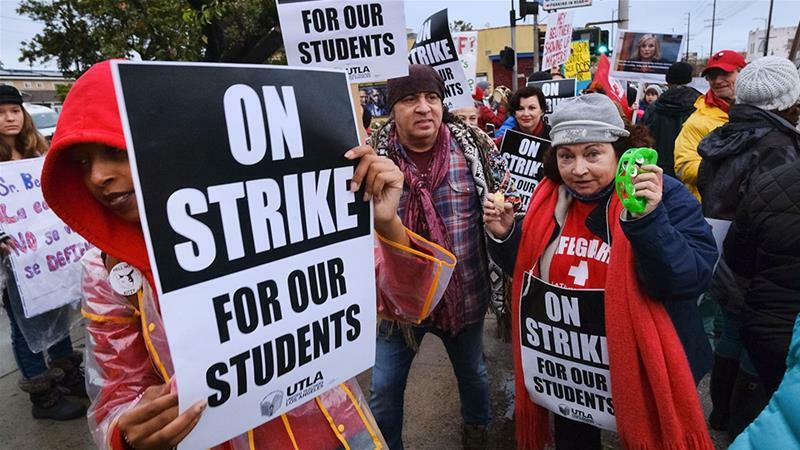 Today is day four of the LA teachers’ strike. “This bitter conflict is also a fight about the meaning of progressive politics”–that’s what Nelson Lichtenstein says — he’s professor of history and director of The Center for the Study of Work, Labor and Democracy at UC Santa Barbara. Also: despite the fact that 58% of Americans oppose the wall, we are on day 27 of Trump’s government shutdown over funds to build one. What are the politics of the Republicans in this situation? We turn to John Nichols for comment.